Registration forms can be sent to Meghan Purvis via info below. 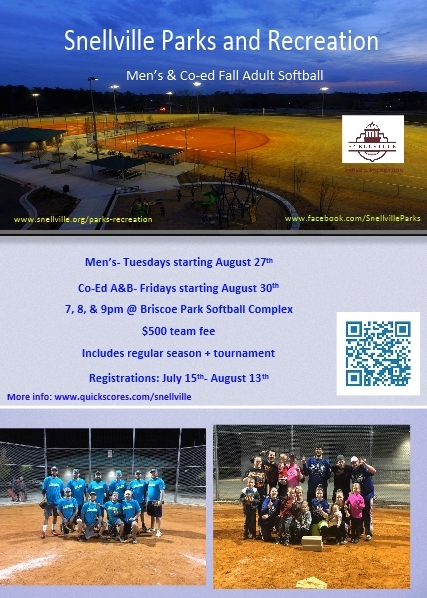 Payments must be made at the Briscoe Park Office located at 2500 Sawyer Pkwy Snellville, GA 30078 before the first game. Payments are accepted in the form of cash, check or Visa/Mastercard. Rosters will also be due before the first game.